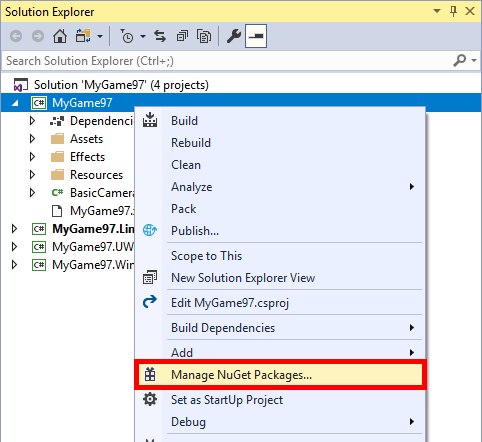 Game Studio will later support adding NuGet packages directly. Save the Visual Studio project. Those assets are readonly and as such can't be dragged and dropped into the scene. This will be fixed soon. In the meantime, you can still use the asset selector to change an existing model or material reference to one from the asset pack.